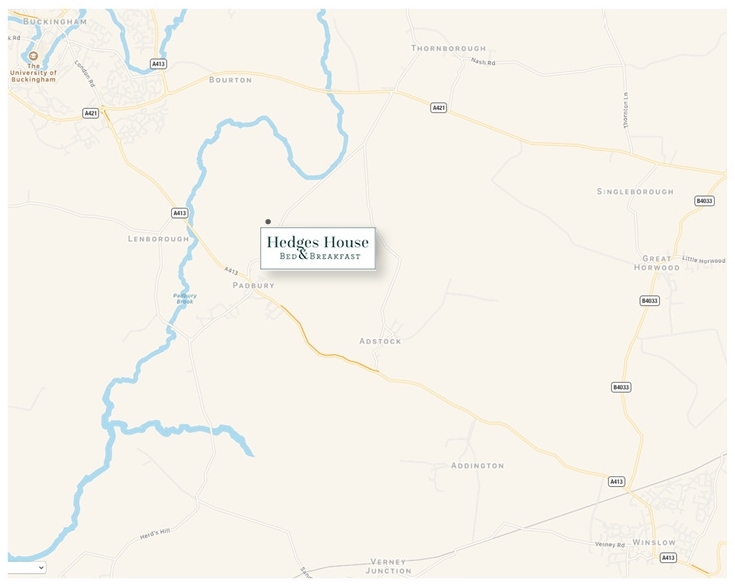 Hedges House is located along a farm drive off the Thornborough Road about half a mile north-east of the village of Padbury in north Buckinghamshire. It has good access to the A413 and the A421. Set within 300 acres of arable farmland, it is a peaceful spot where you are likely to spot hares, pheasant and partridge on your way in or even deer or if you are coming at dusk.